The Institute of Alcohol Studies has released a report based on their forum held in Brussels in June that discusses way to prevent alcohol related incidents that seems to be on the increase. 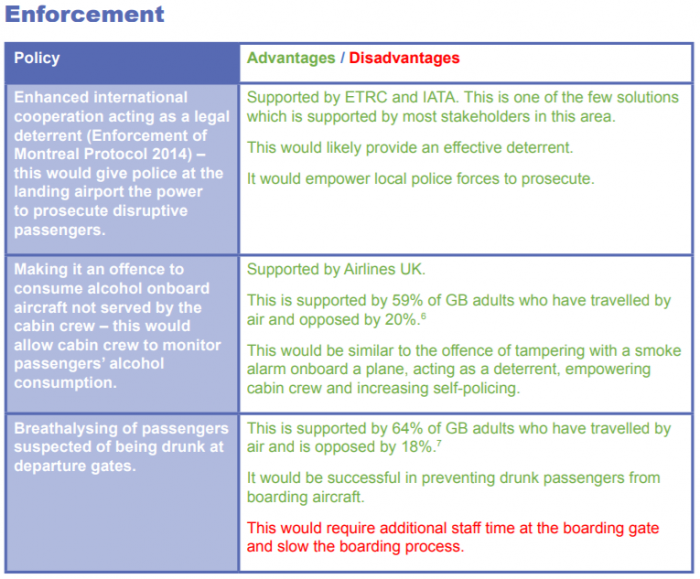 The report notes that many licensing requirements don’t apply to airport establishments, airlines should be more stringent to ensure that disruptive passengers are prosecuted at destination and to make sure that passengers don’t consume duty free alcohol that they may have have purchased at the airport on from in-flight duty free. You can access the institutes website here. Trying to control the number of beverages passenger drinks using his/her boarding pass is going to be very difficult task as they are more in the digital form in the future. I don’t see any difference in what time of the day someone might have a drink whether it is 6AM or 6PM. The passenger might be connecting anyway. Seems that those surveyed think that it is more questionable to drink in the morning than at some other time. Does it really make a difference? There is some truth, however, in this report when it comes to the airline lounges and self serve alcohol. Seems that some may believe that the more “free” alcohol you drink – the more you (somehow) save. Previous articleReader Question: Does It Make Sense To Redeem For Marriott Rewards Travel Package? Next articleChase Ultimate Rewards & Korean Air Skypass Will Cease Partnership On 25 August, 2018 – Last Call To Transfer Points!